Take these striking Gas Bijoux earrings for a swirl. 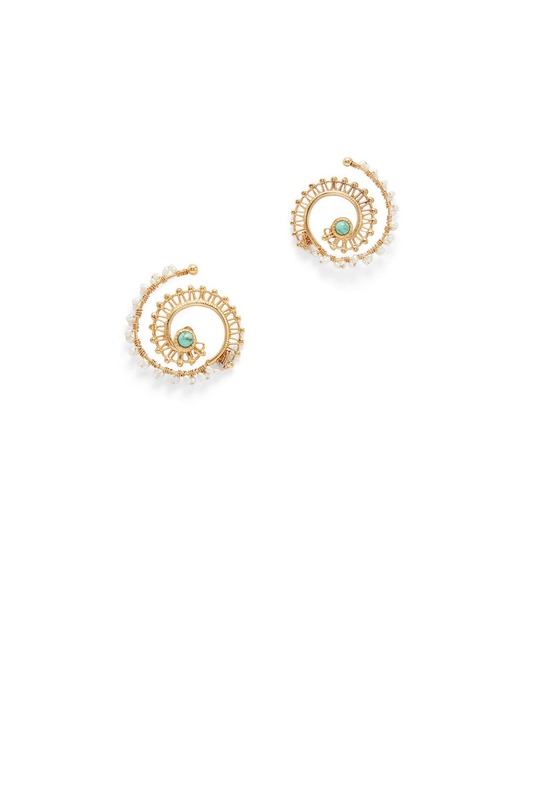 24K gold plated swirl studs with woven beaded accents. Post backs for pierced ears. 1.5" long.